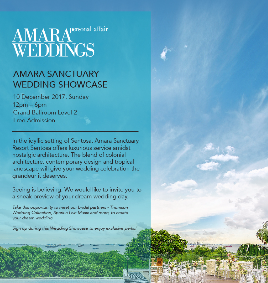 Celebrate the beginning to your lifetime of happiness with our award-winning solemnisation wedding theme as your backdrop, or the ideal traditional wedding of your dream. 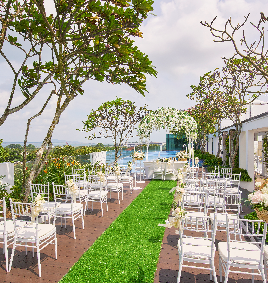 At Village Hotel Changi, we have a dedicated team of planners, customisable menus and an array of banquet set-up. 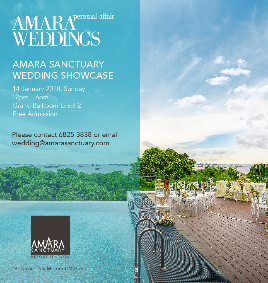 Crowned Best Solemnisation & Outdoor Reception Venue and Best Solemnisation Wedding Theme by Her World Brides Singapore Come visit us at our wedding show - SigNature Weddings at Village Hotel Changi to find out more! 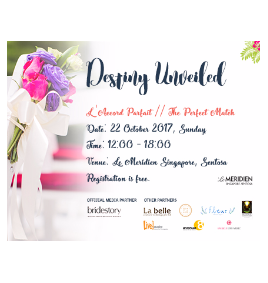 4 November 2017, Saturday | 1pm – 7pm 1 Netheravon Road Singapore 508502 Free Admission Enjoy these exclusive perks when you book your wedding at the show: • Banquet Dinner at $888++ (Usual Price: $908++) • $1000 nett off your banquet bill Terms & Conditions apply. Hotel Jen Tanglin Singapore. The Gallery, Level 2. Malena Bridal is having the ultimate sale this November! 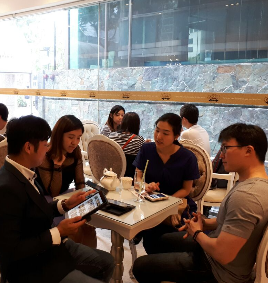 Prepare to tick some items off your wedding checklist and leave it all to the experts, as this Singapore-based bridal will cover a bride’s every concern from make-up to pre-wedding photo shoot packages. Malena Bridal Haute Couture brings services and style perfect for our Asian customers, be it through gowns, make-up, hairstyle or pre-wedding photo shoots. Nothing comes close to Malena’s bespoke services that are customised to perfection for every single couple. Known for their high-end gowns with exquisite fabrics and details that are just to-die-for, Malena Bridal Haute Couture is famous for it’s brilliant ways of complementing the East Asian beauty while also keeping abreast of the contemporary fashion in the haute couture scene, offering a plethora of gowns from Shanghai, Korea, USA & Europe that suits just about every bride in Singapore. 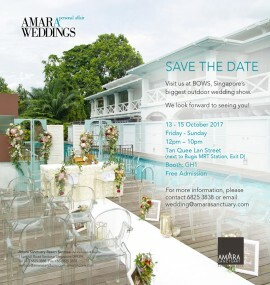 What sets them apart from other bridals in Singapore, you ask? Literally everything they have to offer. Inspired to give brides an exclusive wedding experience, the Bridal focuses on making brides feel good on their wedding day – and there is nothing that comes close to how Malena does it. It’s not just their gowns that make the brides’ feel special, but also the pre-wedding photo shoots that are so well curated. Malena makes sure the photos capture the most natural facial and body expressions of the couple instead of monotonous and cliche photos of couples in picturesque backdrops. Exclusive for brides that are looking to save on their wedding spending without sacrificing an ounce of style. 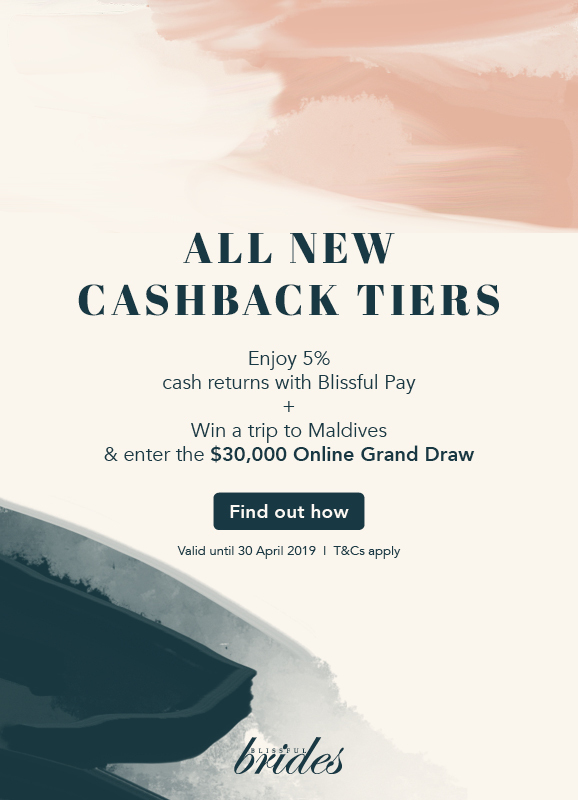 Save the date and you’ll end the day off with shaking hands on the finalised wedding packages Malena Bridal Haute Couture has to offer – and only this time, it’s cheaper! Nothing good last forever, so it’s imperative you book your slot so that you’d be the first few to get full access to all of Malena’s gowns. What you waiting for?, start planning for your dream wedding today! If you are travelling by MRT, here is the direction guide. Alight at Marymount MRT and board bus 410G at bus stop near Exit A. Alight at bus stop nearest to Habitat Coffee. Walk towards UOB in Blk 261 Malena Bridal is just located behind UOB ! 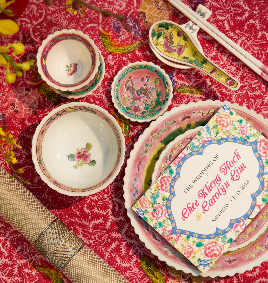 Address is 93 Soo Chow Walk Singapore 575386. Bali Pre-Wedding Pre-Wedding Package *LIMITED SLOTS* (Usual Price:$3600) Package includes: 2 White Gowns 1 Evening Gown 1 Casual Outfit 2 Groom Suits Makeup With 4 Hairstyles Retouched Images Return 8hrs Shoot (exclude makeup time) Transportation Included During Shoot Hotel Pick Up Included(Specific Area) Assisted with full fledged crews of Makeup artist, Photograher, Photographer assistant & Driver RSVP Price : $1988 Local Pre-Wedding Package (Usual Price: $2788) Package includes: 2 Location Photoshoot 2 Classic Gown Selection 2 Suits Selection Professional Hair-Do & Make Up Premium Photo Album, 12″ by 16″ Selected Images Returned RSVP Price : $1688 Actual Day Package (Usual Price:$2600) Package includes: 2 Classic Gown Selection 2 Suits Selection Wedding Car Decor Wedding Hand Bouquet RSVP Price : $1588 RSVP on the form below to schedule an appointment with the friendly consultants and let them help you with your dream wedding planning. Slots are limited. RSVP to book a slot before it’s full! Celebrate the beginning to your lifetime of happiness with our award-winning solemnisation wedding theme as your backdrop, or the ideal traditional wedding of your dream. 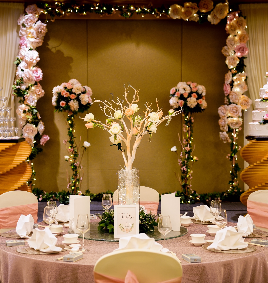 At Village Hotel Changi, we have a dedicated team of planners, customisable menus and an array of banquet set-up. 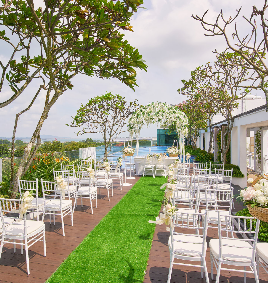 Crowned Best Solemnisation & Outdoor Reception Venue and Best Solemnisation Wedding Theme by Her World Brides Singapore Come visit us at Blissful Outdoor Wedding Show (BOWS) to find out more! 5 - 7 January 2018, Friday to Sunday | 12 noon – 10pm Tan Quee Lan Street, Booth AB1 Free Admission Enjoy these exclusive perks when you book your wedding at BOWS: • Banquet Dinner at $888++ (Usual Price: $908++) • $1000 nett off your banquet bill Terms & Conditions apply.